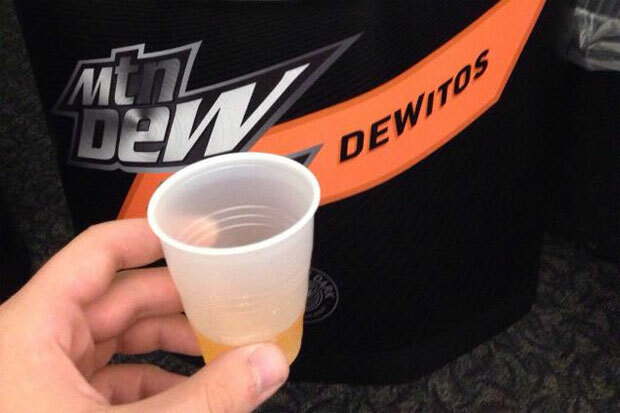 Other flavours on trial were Lemon Ginger and Mango Habanero, but we’re particularly intrigued by the Dewitos. 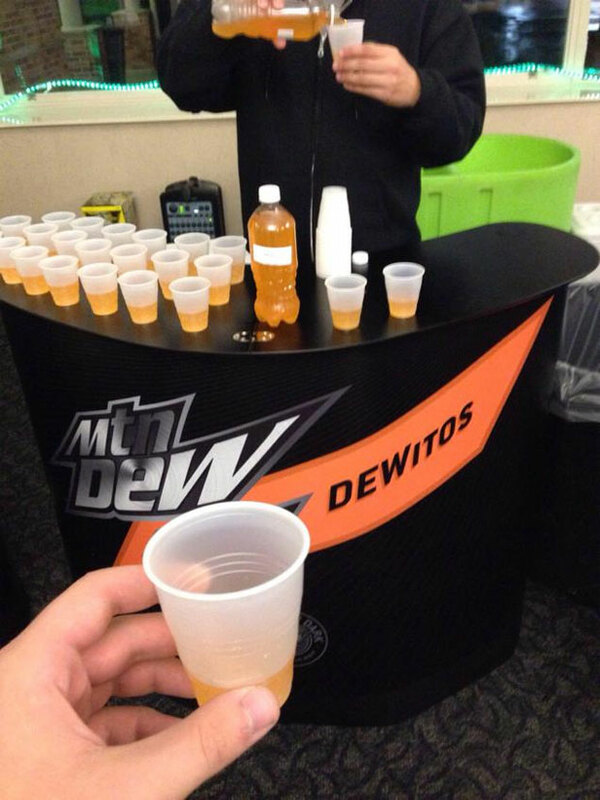 Heck, we’d be down to trying some, if anyone wants to ship a few bottles to OhGizmo! HQ. By Hazel Chua on 09/30/13 • Leave a comment! This is pizza like you’ve never had it before. Instead of the usual dough, J. Kenji Lopez-Alt has come up with a seriously awesome alternative for the crust in the form of ramen. Sometimes, I think ramen is about to become the next bacon, what with all the unusual creations that people are coming up with it. Remember the ramen burger? It’s mostly being used as an alternative for bread, given it’s flavor (or non-flavor), but still. It adds that extra oomph, that extra crunch, that boring old bread or dough just doesn’t have. 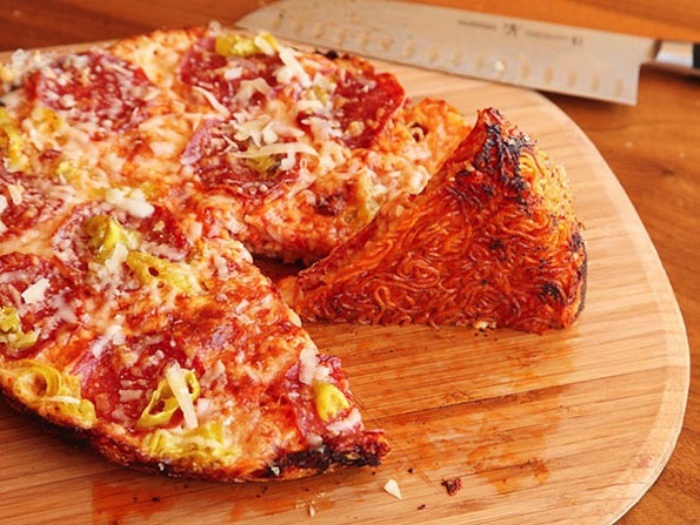 J. Kenji has generously shared the recipe for ramen-crusted pizza here, in case you want to try making it at home. It’s a pretty straightforward recipe that calls for instant noodles, some olive oil, and your pizza sauce and toppings of choice–stuff you probably already have in your pantry. Bon apptetit! Have you ever wondered what it would feel like to eat yourself? Not eat in the other sense of the word, but, you know, eat as in put something in your mouth, before you chew and swallow? It sounds like a pretty gross thing to do, but it’s not, really, if you’re eating miniature gummy replicas of yourself. Japan’s food innovators at FabCafe and White Day are now letting patrons and gummy lovers enjoy eating themselves by using 3D scanning technology. After they scan your entire body using a full-body scanner, a mold is created, which is then used to make your tiny, gelatinous counterparts. But alas… It’s only available in Japan.